In the latest editions, the App could talk from the Apple Watch directly. 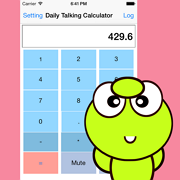 With the help of this App, we could use the Watch as a smaller size talking calculator, a small talking note book, a talking counter, a talking location guide, a talking watch, and a talking counter. 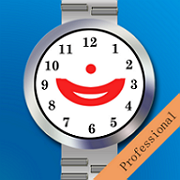 From the Apple watch, this App also could talk in many international languages. 1 Save our favorite text notes into the CoreData database system. 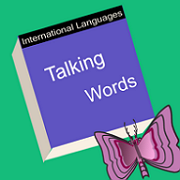 2 Talk the text note in different languages. 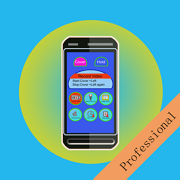 The App could talk the text in more than 20 international languages. 4 Import the text from plain text files. 5 Import the text from Pasteboard. We could copy the text from the web page, and then save to this App. 6 Import the text from PDF files (Professional edition only). 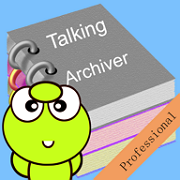 7 Import the text from RTF files (Professional edition only). 8 Edit the text note from iPhone or iPad. 9 Export the text note to the Pasteboard. 10 Export the text note to the text plain files. 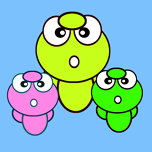 3 View the pdf file contents from the file list. 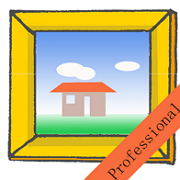 6 Save the photos in the ready list into one pdf file. 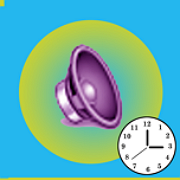 After detecting the sound pitch, fire the indicted reaction : Put our device two or three meters away , just making a sound, then our device could take photo, record video, talk notes, play sound, talk time and record the sound. 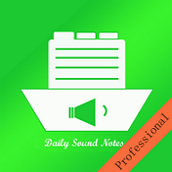 Daily Sound Notes - a sound App developed carefully. Record the daily sound as soon as possible. Make the note for the sound. Listen the talking of the note. Listen the playback of the sound. Import the existing sound file from the iTune File Sharing. 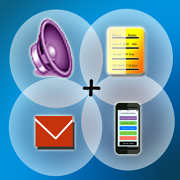 Export the sound file by email or iTune File Sharing. 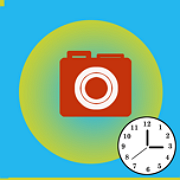 Take Photo by sound, cover action, timer, gesture : Put the ios Devices two meters or three meters away,just make a sound,this App could take photo. Cover the top left corner of iPhone screen, this App could take photo. Different gestures could have the different photo actions. Take photo after delay for a little time. 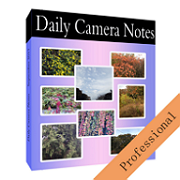 Do you like to record the video clips with your iPhone or iPad? Do you want to put your device two or three meters away and make it to record the video? Do you like to record video while you are walking or running? Do you like to record video with different gesture for different preferences? Do you like to delay your recording for 30 seconds? Do you like to record the video by interval duration? 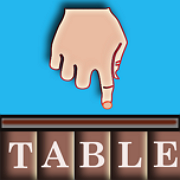 Please try this App. 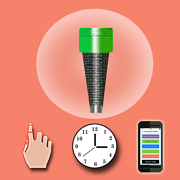 Record the sound by timer, proximity sensor, sound pitch, different gesture. If we keep the fast tab page appear, then press the home key, next time, when we launch this App, it will record the sound automatically. Different Gestures, Different Reactions. Each gesture could fire one of the following six reactions: record the sound , record the video, take the photo, talking notes, talking the current time in English and play the sound. 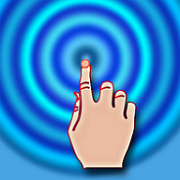 This App uses the Proximity Sensor of iPhone to detect the user's action. 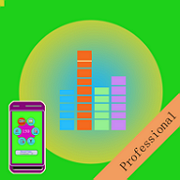 With the help of this App, we do not need to watch the iPhone screen, we just instruct the proximity sensor and we could start or stop the video recording, the sound recording, the text talking and the sound playing. We also could start the photo taking and the time talking according to our needs. The app could take photo or record video at the indicted time. It includes six camera capture events. Talk the tapped number and operator, talk the result of calculation. Turn on the flashlight at the indicted time. 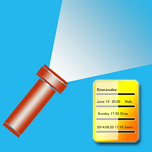 At night, use this app to help ourselves see the remote view. At night, tell remote friends what we want to do and what they need to do. Only for iPhone. Enjoy the wonderful music, Hear the favourite sound , Listen the important text talking. 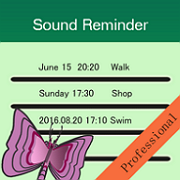 Sound Reminder App is powerful, easy to use, easy to manage. 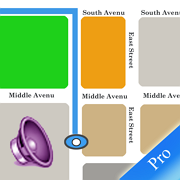 The app will provide six kinds of solutions for talking the location information. The cover solution is only available for iPhone. The app will could talk the location longitude, latitude or the detail information such as the location name,locality,Thorough fare, sub locality, sub thorough fare. 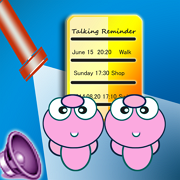 This iOS Talking Reminder App includes the active reminder and the inactive reminder. That means, this App will reminder us even when the App is inactive. For example, when the iOS device is locked, the device will play the talking sound at the time we indicted. Talk the note, Email the Note, SMS the note: This app could save the daily notes to the core data system. And talk the notes, email the notes and send the notes as the message. 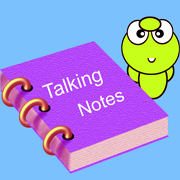 The user could select to talk, send the notes by group from the main form, or talk or send the single note from the single note form. Talking the words one by one. Compare the two parts in the different languages. Listen the repeat talking in the background status. When we are studying the foreign languages, we need to study the foreign words. The notes in this App could include two parts - each part for different languages. So we could input one part with our native language, the other part with the new language. More important, we could also input one sentence in each part. 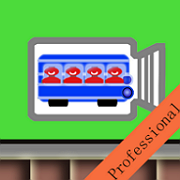 After adding the notes, we could listen all the notes one by one by tapping the Talk All button. We could listen the single note repeatedly by long press the single table cell.